Vintage 1940s dress is bright and sweet in a bold lilac rayon crepe. She’s a wounded bird, so please read the condition notes. 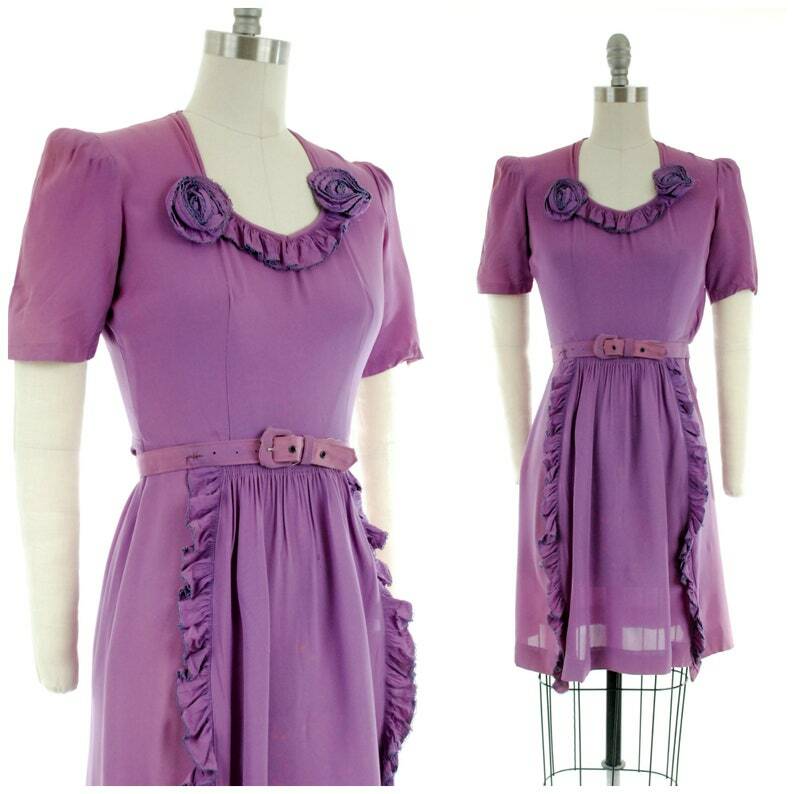 Ruffled decorate the collar and skirt, and make little rosettes at either side of neckline. Shirring creates drape to the center of the skirt. Packed with sweet accents and bold color, all this dress needs are earrings and the right heel to accentuate it! This closes on the side with hidden buttons. This charming dress has spotting and color inconsistency throughout, with fade most notable on the sleeves, underarms and side of the skirt. There are speckled lightened spots in the center front of the skirt. It has been cleaned, so these spots are permanent. It was so darn cute I still accepted it from my consignor. The dress is very sturdy, and will look good in evening light. It is priced as-is.